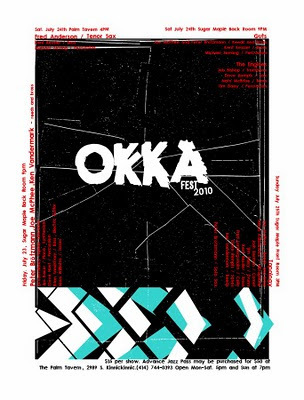 Three color poster for Okka Fest 2010. It's going to be 25 x 19 inches on french paper. Just waiting for my drying rack to show up and I can commence printing.